The birth of modern military aviation can be traced to the First World War. During this war, it was the Germans who held the initiative in the first aerial campaigns in 1915. The first pair of German air aces was Max Immelmann and his leader, Oswald Boelcke. Within two years, they were followed by another pair of aces, Werner Voss and Manfred von Richtofen, better known as the “Red Baron”. None of them would survive the war. But Max Immelmann had a “defective” birth chart. Despite this so called “bad” chart, he lived a useful life by the time of he was killed at the age of 25. His achievements included not only being among the first air aces but also devising the “Immelmann turn”. In this manoeuver, the pilot pulled his fighter aircraft in a steep climb, then stall turn to the left or right to dive on the enemy aircraft below. This aerial tactic was still used even in the age of jet fighter combat during the Korean and Vietnam air wars. How was it that someone with a seemingly defective birth chart could make his mark on military aviation during his brief life? On 17 December 1903, the Wright brothers had proven that it was possible for man to achieve powered flight. Man had already been airborne as early as the late 1800s. But he could only go aloft in Montgolfier balloons which were borne by the wind. The significance of the breakthrough by the Wright brothers was that, for the first time in history, Man could use an engine and choose the direction of flight. An analogy at sea would be the use of steamships to replace sailing ships. However, it took the impetus of war to provide sufficient demand for designers to improve on aircraft and power plant design. Initially, the military aircraft of the era were used to scout and report on enemy army positions. They did not carry any machine guns. At that time, the aircraft designers did not know how to install a machine gun to fire forwards through the propellers without damaging them. Therefore, the British and French pilots merely waved to their German opponents when they encountered each other in the air. Some more aggressive pilots brought their pistols and rifles with them when they took off. However, it was one thing to carry firearms aloft. It was quite another to aim and shoot with any reasonable degree of accuracy at an opponent who was flying just as fast and in any direction he pleased. The obvious solution called for heavier firepower such as machine guns. The first Royal Flying Corps (RFC) air ace, Lanoe Hawker fitted a Lewis machine gun on the port side of the open cockpit of his BE2c (Bleriot Experimental 2c) aircraft. The machine gun was aligned to fire about sixty degrees to the left. This meant that the pilot had to fly in one direction and shoot in another direction –which took some doing! Since no one seemed to have found the solution, most of the early wooden biplanes used by the British Royal Flying Corps (RFC) and the French Lafayette Escadrille were pusher aircraft. This meant that the engine and propeller was located behind the fuselage nacelle. The pilot sat in the fuselage with an observer in front of him. This observer had a Lewis machine gun trained to fire forwards, free of the propeller. He usually also had a second Lewis machine gun located behind him so that he could fire backwards at an enemy aircraft. This was the basic design of the Fe2b and Fe2d (Farman Experimental 2b and 2d) as well as the Vickers FB5 Gun bus. The Airco DH2 was similar in layout except that it housed a single pilot without any observer. The pilot was given a fixed Vickers machine gun aligned to fire forwards. However, the design of pusher aircraft was aerodynamically inefficient and had inferior performance compared to tractor aircraft which had their engines and propellers located at the front. 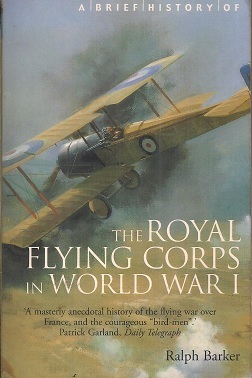 The renowned aviation historian, Norman Franks, has given us a vivid account of how the problem of the forward firing machine gun was finally overcome in his superb study of fighter combat, “Aircraft versus Aircraft” (Grub Street, 1986, reprinted by Crescent Books, 1990). In April 1915, the Germans captured a French Morane Type N flown by Roland Garros. Upon inspection, they found the triangular steel wedges installed by Jules Hue on the propeller blades so that they would deflect the bullets which came from the forward firing machine gun. When Anthony Fokker examined the device, he realised that it was rather unsafe. The bullets might have been deflected but the impact could ricochet back into the aircraft or even shatter the propellers. When the bullets hit the deflectors, they would cause vibrations in the aircraft which could eventually loosen the engine mountings. He thought the system was crude and designed an interrupter gear synchronised to fire through the intervals of time it took for the propellers to complete their arcs. He installed a lightened Parabellum 1MG14 in one of his M5K/MG monoplanes to give a demonstration to the German General Staff in Berlin. The chief of the Idflieg (the Army Air Force Inspectorate), Major Thomsen, promised him an Iron Cross if he could shoot down an enemy aircraft. Anthony Fokker took off in the sector opposite Verdun, found a live target but balked at killing someone in cold blood. 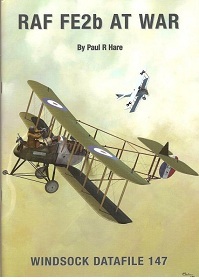 The first aerial victory came when Kurt Wintgens shot down a French Morane. However, it came down on the French side of the lines so he was not credited with the victory. Two weeks later, he shot down another enemy aircraft which crashed behind the German lines. Anthony Fokker’s design had been vindicated and the era of the dogfight had been born. “Those Magnificent Men in Their Flying Machines” was the title of a comedy movie directed by Ken Annakin in 1965. It was based on the London to Paris air race with Terry-Thomas, Stuart Whitman and Sarah Miles in the lead roles. In this farce, one of the pilots was shown seated in his cockpit, facing backwards and flying merrily to Scotland instead of Paris! Max Immelmann had joined the army in 1911 and served with Railway Regiment No. 2. When the war broke out in 1914, he joined theLuftstreikrafte (Army Air Service).He was sent to Fliegerbteilung Nr 10. (Flying Detachment No 10). Eventually, he wound up in Jasta Nr 2(Squadron No 2) commanded by Oswald Boelcke. During the early days of air combat, there was no precedent for fighter tactics. These tactics had to be learnt the hard way, by trial and error. Probably the first veteran pilot to record down fighter tactics was Oswald Boelcke. He realised that it needed two persons to fly and attack an enemy aircraft, as the companion could keep a lookout while the leader attacked the enemy aircraft. He chose Max Immelmann as his wingman. The wingman system is still used in the age of modern jet fighter combat. On 1 August 1915, Immelmann shot down a two seater reconnaissance aircraft, the first confirmed Fokker victory. The Royal Flying Corps was alarmed at the growing casualties and deployed their Fe2b, FE2d, Vickers FB5 Gun bus and Airco DH2 to counter the threat. But the Germans did not fully grasp the potential of the Fokker Eindecker. They had too large an area for too few aircraft to patrol. So they used the Fokker Eindecker in penny packets instead of grouping them together to fly them en masse. Max Immelmann was assigned to patrol and provide aerial cover over the city of Lille. Eventually, he became known as “Der Adler von Lille”(“The Eagle of Lille”). During the late evening of 18 June 1916, seven FE2bs from 25 Squadron took off for an offensive patrol over Lens. The leader of the flight was Second Lieutenant JRB Savage. One of the FE2bs was piloted by Second Lieutenant GR McCubbin with his observer-gunner Corporal JH Waller in the front cockpit. They saw three Fokker Eindeckers at a lower altitude and dived down to attack. One of the Eindeckers was flown by Max Immelmann. He saw the danger, rolled into a steep climbing curve that brought him above and behind Savage. He fired his machine guns, wounding Savage who dived away out of control. In the meantime, McCubbin was closing on Immelmann who tried to break off his attack. He had left it too late. Corporal Waller fired a burst at close range. The Fokker Eindecker was seen diving out of control until it crashed. During the melee, a second FE2b was shot down and its crew taken prisoners. But the Eagle of Lille was dead. McCubbin was awarded the Distinguished Service Order (DSO) and Waller the Distinguished Service Medal (DSM). The Germans could not believe that their ace could have been killed so easily. They preferred to believe that his interrupter gear was defective, thereby causing his bullets to damage his propeller. 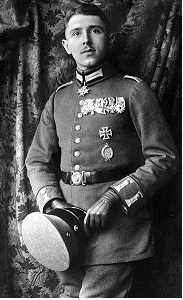 Oswald Boelcke survived Immelmann by less than six months. On 28 October 1916, he led a patrol of five Albatross when they spotted two DH2s from Lanoe Hawker’s No 6 Squadron. They attacked the pair of scouts but Lieutenants AG Knight and Alfred McKay evaded them and escaped. During the melee, six more Albatross arrived to make the skies overcrowded. The wheels of one Albatross, flown by Ernest Boehme, scrapped the top wings of another Albatross. Initially, the stricken Albatross seemed to recover. But soon the top wings of the damaged Albatross sheared away and Oswald Boelcke plunged to his death.